Many food entrepreneurs and CPG (Consumer Product Goods) business owners understand their limitations when it comes to overseeing and executing a successful bookkeeping and accounting strategy. Self-aware and savvy, they know the opportunity cost of trying to figure it out on their own. Moreover, they know what they want to be doing: devoting their time to the product they’re making and selling, not losing hours stumbling through the necessary operational side of things. To support food entrepreneurs and CPG startups, Accountfully created this guide to help business owners understand the ways outsourced bookkeeping and accounting can help them evolve their businesses into efficient scalable operations. More often than not, food entrepreneurs and CPG business owners don’t have enough bookkeeping knowledge or industry experience to successfully oversee and execute their accounting needs. They can muddle through things in QuickBooks Online for a certain amount of time, but add co-packers, trade spend deductions, distributors, and/or manufacturer charge backs and things become instantaneously overwhelming. And for every hour spent trying to undo an error, rectify an issue, or Google a solution, chances are the business owner is making it worse—or more expensive from a bookkeeping perspective. Accountfully works with product-based business owners who have unique inventory-related bookkeeping needs that most general bookkeepers aren’t able to serve. Unlike traditional general bookkeepers, Accountfully has in-depth industry experience and can therefore act as a strategic partner. Accountfully's advisory services are layered on top of all the necessary bookkeeping activities, accounting needs, and tax filing responsibilities offered. Most food entrepreneurs and CPG business owners have never been in CEO positions or have prior experience operating a business, which is why Accountfully spends time educating the client. The goal is to help the business as a whole, therefore clients can expect to learn about things like margin by sales channel, contribution profit by customer, and real-time cost of goods sold—all critical for growing product-based businesses. How do I choose an outsourced accounting firm? Why do business owners outsource their bookkeeping and accounting? When should I outsource my bookkeeping and accounting? A good outsourced bookkeeping and accounting firm customizes its engagements to support the varied needs of its clients. Whether a client's business is in their kitchen or they have multiple co-packers, engagements can be as simple or complex as needed. Whether a business owner is planning a launch or developing an additional product, there’s no wrong time to outsource bookkeeping and accounting. For the proactive business owner who wants to get ahead and have the bookkeeping in place before their products are being sold, Accountfully can implement simple and affordable bookkeeping solutions that work with smaller budgets and paired down needs. How Does Accountfully Get A Client Ready To Launch Their Product? And if a business owner tackles the bookkeeping and accounting themselves for awhile—that's alright too. Accountfully can go back and clean things up when necessary. It isn't always the most affordable option or ideal way to get started, but growth happens and Accountfully is available to support business owners through all phases of it. How Does Accountfully Engage After A Product Has Been Launched? Segregates financials to report on profitability by sales channel and customer. As a business grows, new clients sign on, products start selling, and employees are hired, the business naturally becomes more complicated. Rather than racking up penalties with the IRS for incorrectly filing sales tax and payroll withholdings, work with an outsourced bookkeeping and accounting firm that will proactively manage your books. Don’t learn the hard way why business owners should avoid wearing the bookkeeper hat. An outsourced bookkeeping and accounting firm should create a tailored engagement that fits the business’ specific challenges and needs. Because no two businesses require the same approach, it’s important for the bookkeeping and accounting firm to understand the business owners goals before proposing a solution. Generally speaking, a business owner can expect the following from an outsourced bookkeeping and accounting engagement that has been designed to help food entrepreneurs and CPG business owners. Communicate through email with their customers and vendors. Inventory— while it’s the very foundation of CPG businesses, it is often misunderstood and underutilized. Accountfully has seen entrepreneurs trying to manage inventory with complicated Excel spreadsheets that lag behind the needs of their business. In effect, inventory counts are wrong, margins are skewed, and orders are impacted. And when orders are impacted, customers, retailers, and distributors are disappointed. To guard against this, Accountfully helps clients identify when it’s an appropriate time to choose an inventory management system. From here they work collaboratively with the business owner to select, implement, and integrate sales from various channels to QuickBooks Online. Additionally, Accountfully focuses on the business owner’s understanding of things like standard costs for all SKUS, manufacturer charge backs, trade spend, and other fees discounted from retailer and distributor relationships. Having a clear understanding of inventory, what it is, how to manage it, when to manage it, and how to leverage it to scale your business is a necessary part of business growth. Strategic partners are helpful not only as a business get started, but also as a business grows. From setting up systems to automate cost of goods sold entries, establishing an appropriate chart of accounts, and considering distributor agreements to assessing inventory management solutions, Accountfully helps clients through all phases of their businesses' lifecycle. 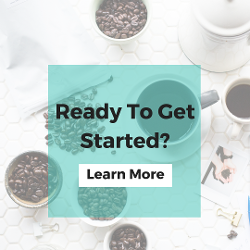 Food entrepreneurs, food startup founders, and CPG business owners can expect their bookkeeping, accounting, and inventory management to be handled through a variety of different cloud-based solutions that work together. Accountfully manages these cloud-based integrations and monitors ongoing data syncs to make sure the client has real-time access to accurate financial data. Using solutions like QuickBooks Online, Bill.com, Expensify, Gusto, and Fathom, clients can expect efficient bookkeeping and accurate information. For food entrepreneurs specifically, Accountfully has extensive experience using the following inventory management systems and shopping carts. What Bookkeeping Tools Does Accountfully Use? Unlike working with a single bookkeeper, an outsourced bookkeeping and accounting firm like Accountfully offers business owners the resources and knowledge of an entire team rather than a single person. Accountfully staffs engagements with CPG-specific experts who understand the ins and outs of inventory challenges. This allows them to catch things early, answer industry specific questions, and be a guide for clients. Accountfully bookkeepers and accountants handle the day-to-day bookkeeping operations. They focus on data-entry, execution, and accuracy. They will manage and update books and records, perform bank and credit card reconciliations, post payments in accounting systems, send invoices to customers, assist in collections process, oversee vendor management and bill pay, run payroll, process payroll taxes, and have weekly check-ins with the client to cover outstanding items and questions. Accountfully’s senior staff perform more high-level tasks and provide greater financial insight. They oversee month-end financial close, review short-term and long-term cash flow, advise on growth strategies, identify and assess key performance indicators, prepare forecasts and budgets, conduct pricing and margin analysis, perform inventory reporting and analysis, and communicate with investors and stakeholders. Once a team has been assigned to an engagement, they work closely with the business owner to understand the business’ financial history as well as the business owner’s goals for the future. Working collaboratively with the clients, Accountfully works to keep the engagements staffed by the same team throughout the duration of the relationship. Accountfully’s tax team plans for tax liabilities, reviews legal and tax structures, prepares business and personal taxes, processes quarterly tax payments, and resolves prior tax filing issues. In an effort to be proactive and help with strategic purchases throughout the year, Accountfully offers quarterly tax planning packages that help CPG business owners understand with their business taxes. Food entrepreneurs and CPG business owners benefit greatly when they have access to a tax team that works in conjunction with their daily bookkeeping and accounting team. Having all financial operations under one roof is a time and cost saving benefit that comes with working with an outsourced bookkeeping and accounting firm. To be successful, CPG business owners should partner with an outsourced bookkeeping and accounting firm that has industry-specific expertise and experience. Don’t settle for a bookkeeping solution that can’t help navigate manufacturer charge backs, profitability of distributor relationships, and analyze margins by SKU. Choose a team that has a track record helping other businesses in the CPG industry. Wonder if Accountfully could be a good fit for your business? Fill out the get started form—and someone will be happy to chat with you about your needs. Ready to Outsource Your Bookkeeping and Accounting?